Considering where the market currently trades, it seems like a foregone conclusion that the SPX will at the very least attempt to kiss the monthly meridian that currently sits around 1442. 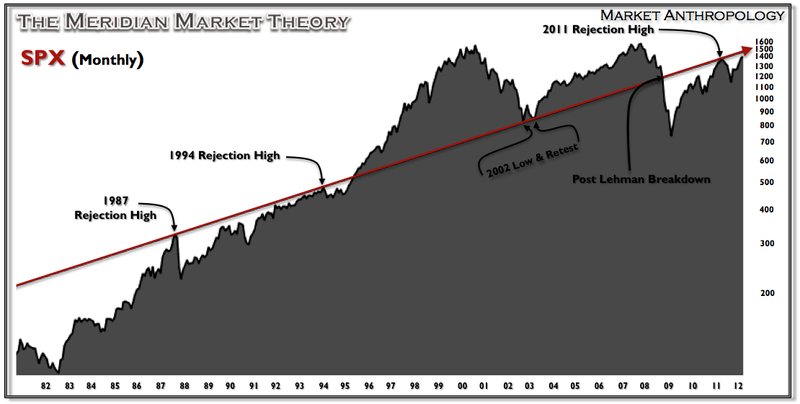 I believe it is also significant to note the May 2008 retracement level that is directly beneath the meridian at 1440. 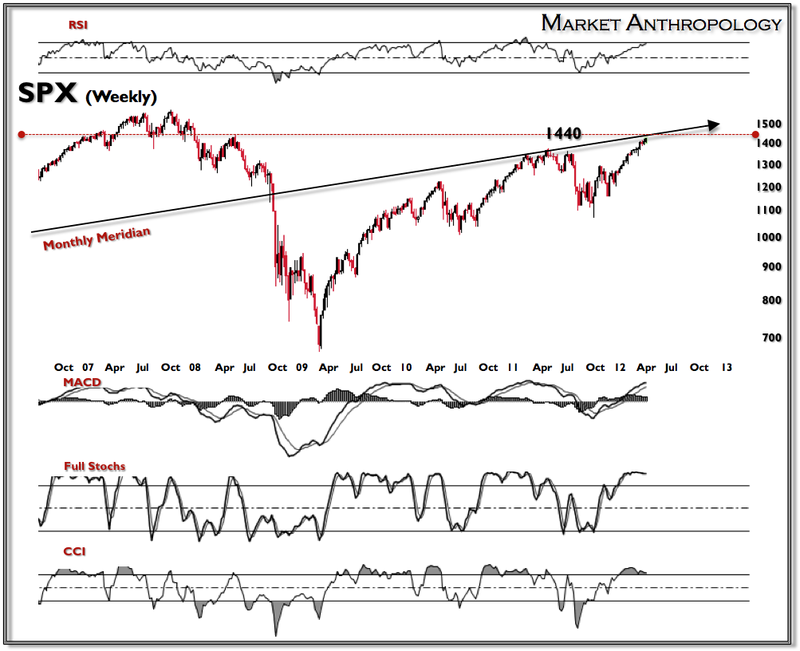 A very interesting confluence that may present a changing room for bulls and bears to reevaluate where they stand. Should the market break these levels with little to no turbulence, it would be very difficult to remain bearish towards equities with such dominant strength. With that said, I would also consider it a logical area where strong resistance would present itself.